The Facebook Moments App Discontinued for Private Sharing of Photos, Videos to Be on February 25 owing to lack of users. 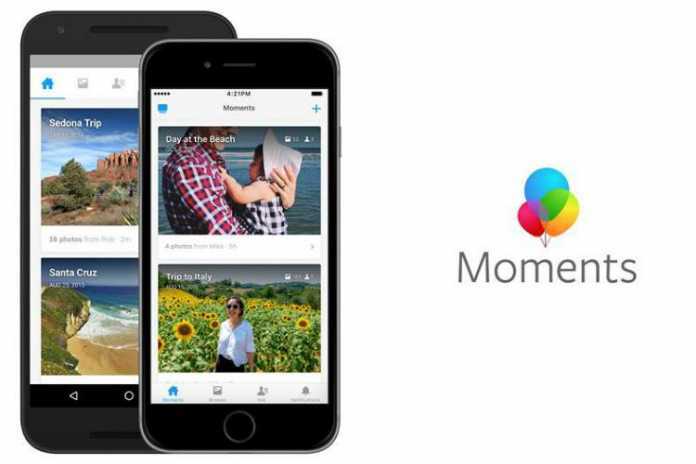 “We’re ending support for the Moments app but we know the photos people share are important to them so we will continue offering ways to save memories within the Facebook app,” CNET quoted Rushabh Doshi, Director of Product Management for “Moments“, as saying on Thursday. Though the company declined to share user numbers, the reason behind the shutdown is because not a lot of people are using it. According to Sensor Tower, a mobile analytics firm, the app has been installed by 87 million iOS and Android users since its launch and at its peak, was downloaded 10.7 million times in June 2016 that declined to about 150,000 downloads last month. The Facebook Moments App users about its shutting down via emails and app alerts. Since people need time to retrieve their photos from the app before it is killed, Facebook has set up a website, available till May, from where users can export their photos either to PCs or their phone camera rolls. People can also upload their “Moments” photos to an album on the Facebook main app. By default, the photos in those albums will be set so only you can see them, the report added. The social media giant first launched “Moments” in 2015 to allow users to share pictures with friends without having to upload them on Facebook.